Thomas Stone was the great great grandson of William Stone who was born about 1603 in London. William Stone married Elizabeth Sprigg in 1620 and they came to America before 1628, settling in Accomack County, Virginia. There he became a justice of the peace and served as agent for his uncle who was a merchant and haberdasher in London. He was named High Sheriff of Hungar’s Parish in 1634, and was appointed to the same position in Northumberland County in 1640. By 1640 he owned 5,250 acres of land in Virginia. William Stone was a recognized political leader with strong ties to the English and Chesapeake Puritan communities in Maryland, and Lord Baltimore appointed him governor of Maryland in 1648. He served in that capacity during the protectorate of Oliver Cromwell. In 1654 William moved to Charles County, Maryland where he was given an estate called Poynton Manor for his “laudable services”. Thomas Stone, the future signer of the Declaration, grew up near the village of Welcome in Charles County and had an unusual fondness for learning. At the age of fifteen, he obtained his father’s reluctant consent to enter the school of a Mr. Blaizedel, a Scotsman, for the study of the Greek and Latin languages. The school was more than ten miles from his home and young Stone arose early every morning and rode on horseback to acquire his education. After completing his schooling with Mr. Blaizedel, Stone decided to pursue a career in the law. Moving to Annapolis in the early 1760s Stone began the study of law under Thomas Johnson, a respectable lawyer. Although his father had considerable fortune, Stone found it necessary to borrow the money to further his education. Stone was admitted to the bar in 1764, at the age of 21, and moved to Frederick, Maryland to set up his practice. He began in 1765 circuit court riding between Port Tobacco to and from Frederick, Annapolis, and Philadelphia. This travel pattern was not only long and time consuming, but dangerous and fatiguing, all the while maintaining active law practice in two localities. At the age of 25, in 1768, Thomas Stone married eighteen year old Margaret Brown. Margaret was the daughter of Dr. Gustavus Brown and his second wife, Margaret Black Boyd. Margaret’s father, Gustavus Brown, came to America from Scotland in 1708 and began a successful medical practice at Nanjemoy, Maryland. He assisted in laying out the town of Charlestown at the head of Port Tobacco Creek, and built a home called Rose Hill, which in 1937 was listed on the National Register of Historic Places. He served as an associate judge in 1723 and again in 1755. A brother of Margaret Brown, also named Gustavus Brown, followed in his father’s footsteps. He graduated from the University of Edinburgh and practiced medicine in Nanjemoy, like his father. A close friend of George Washington, the second Dr. Brown attended our first President during his final illness. In a candid display of love for his wife, Stone built “Habre de Venture” near Port Tobacco. It is a stately dwelling that still stands today, and is considered one of the finest examples of colonial architecture in Maryland. They settled into their new home about 1771. The young couple was extremely devoted to each other and soon began raising a family of three children. Thomas Stone was quite ambitious, and for the next two decades he succeeded in balancing the increasing demands of a growing private practice with his increasing activity in politics. In a lawsuit involving a poll tax and clergy dispute, Stone was opposed by several lawyers including Samuel Chase and William Paca, who would later become colleagues in the Continental Congress. Thomas was a quiet man who hated the idea of war, and favored reconciliation with Britain, but the times would not permit the peaceful life he craved. In 1774 he was appointed to the Charles County Committee of Correspondence, a vital communication network set up with like-minded patriots in the other colonies so that they could exchange news of major events. By this time he had made a name for himself as an opponent of British policies toward the colonies, though he favored a moderate course. His service on the Committee placed him in a position to quickly expand his realm of influence from local to regional. One year later, after the outbreak of hostilities at Lexington and Concord, he was chosen as a member of the Second Continental Congress from Maryland. 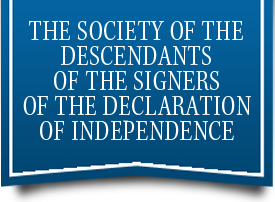 On July 8, 1775, he signed the Olive Branch Petition of the Congress in an effort at reconciliation. Stone’s views are well expressed in this letter: I wish to conduct affairs so that a just and honorable reconciliation should take place, or that we should be pretty unanimous in a resolution to fight it out for independence. The proper way to effect this is not to move too quick. But then we must take care to do everything which is necessary for our security and defense, not suffer ourselves to be lulled or wheedled by any deceptions, declarations or givings out. You know my heart wishes for peace upon terms of security and justice to America. But war, anything, is preferable to a surrender of our rights. At this time Stone and the other Maryland delegates in Philadelphia were operating under uncompromising strictures placed on them by the Convention of Maryland. This body governed the Colony after Royal Governor Robert Eden had been forced out of power. The Convention, sitting safely in quiet, provincial Annapolis, was afraid their delegates in Philadelphia might not reflect the conservative Royalist stance of most members of the Assembly. The delegates in Congress were urged to arrive at “a happy settlement and lasting amity” with Great Britain, and were instructed to “not without the previous knowledge and approbation of the Convention of the Province, assent to any proposition to declare these Colonies independent of the Crown of Great Britain . . .” So even though surrounded by mounting agitation for independence in Philadelphia, the Maryland delegates were bound to act with caution. By early 1776 there was a growing sentiment in Congress and the country for independence. In a letter to his friend James Holyday, Thomas Stone anticipated the rupture with Great Britain and his apprehension over the situation: . . .The Dye is cast. The fatal Stab is given to any future Connection between this Country & Britain, except in the relation of Conqueror & vanquished, which I can’t think of without Horror & Indignation. . .
After Richard Henry Lee’s resolution for independence and union on June 7, a drafting committee of 13 members was formed, consisting of one delegate from each colony, to prepare a constitution that would become known as the Articles of Confederation. Thomas Stone was chosen to represent Maryland in the drafting of the document. No peace commissioners had arrived from England by July 2 and Congress prepared to vote for Independence. A few days prior to the vote, the Maryland Convention had given her delegates permission to vote as they thought best, and Thomas Stone joined his fellow Marylanders and voted for independence. At the age of thirty-three he was the youngest member of the Maryland delegation to vote for the Declaration of Independence on July 4, and he signed the Declaration on August 2, 1776. On July 12, Thomas Stone wrote as follows to the Maryland Council of Safety: . . .May God send Victory to the Arm lifted in Support of righteousness, Virtue & Freedom, and crush even to destruction the power which wantonly would trample on the rights of mankind. Stone dreaded the prospect of a long bloody war with the Mother Country, however, and hoped for reconciliation as late as September. At that time, three American commissioners, John Adams, Benjamin Franklin and Edward Rutledge, met with Admiral Lord Howe on Staten Island in a final, unsuccessful attempt at reconciliation. Stone was elected a Maryland state senator in September 1776, and served in that capacity for a number of years. He acted as the Senate’s commissioner in negotiations with Virginia concerning jurisdiction over Chesapeake Bay. In 1783, Stone was again elected to the Continental Congress. He took his seat on March 26, 1784, and served as its chairman near the end of the session. In 1785 he resumed his lucrative law practice, now in Annapolis, where he practiced with distinction. As an advocate, he excelled in strength of argument. He was often employed in cases of great difficulty, and by his brethren of the bar, it was thought eminently desirable, at such times, to have him for their colleague. His last act of public service occurred the following year, when he played a major part in marking out the progress from the Mount Vernon Convention of 1785 to the deliberations of the Constitutional Convention. In 1787 Stone’s wife Margaret became alarmingly ill. She had received a smallpox inoculation a decade earlier, and from the effects of the mercury contained in the vaccine, she experienced a long state of weakness and decline. During her illness, Stone wrote as follows: The illness of a wife I esteem most dearly preys most severely on my Spirits, she is I thank God something better this afternoon, and this Intermission of her Disorder affords me time to write to you. The Doct. thinks she is in a fair way of being well in a few days. I wish I thought so. . . .
Stone watched over her with unwearied devotion and a deep and abiding melancholy overtook his spirit. At length, however, in the middle of 1787, she sank to the grave at the early age of thirty six. From this time on, the health of Stone evidently declined. The grief-stricken Stone abandoned his work, and declined to attend the Constitutional Convention to which he had been elected. In the autumn his physicians advised him to take a sea voyage and in obedience to that advice, he traveled to Alexandria to embark for England. Before the vessel was ready to sail, however, he suddenly expired on October 5, 1787 in the forty fifth year of his age. Stone is buried in the family graveyard about 200 yards from his home at Habre deVenture, in Port Tobacco, Maryland. Thomas Stone was a tall, thin, pale lawyer, a gentleman of acknowledged talents, and of inflexible and incorruptible integrity. He was a professor of religion, and distinguished for a sincere and fervent piety. To strangers, he had the appearance of austerity, but among his intimate friends, he was affable, cheerful, and familiar. In his disposition he was uncommonly amiable and well disposed. His life reflects a nature, background, ability and spirit for freedom unmatched by most Colonials during the decade before the Declaration. Rugged, reticent and reserved, Stone is one of the least conspicuous of Maryland’s great Revolutionary heroes, not because he was not entitled to the plaudits of the enthusiasts of the Republic then in the making, but because he shunned notoriety, and it was only given to a few intimate associates to know the true worth of the man. He was highly regarded by his peers. He was described as a courageous, deliberate and sensitive patriot who though always physically delicate possessed an inside toughness of soul and spirit that was never flaunted. Always intuitive, humble, diplomatic and insightful in treatment of his peers . . . . he could be rigid and quite self defensive when conditions so demanded. A fellow member in the Maryland state senate expressed this accolade, . 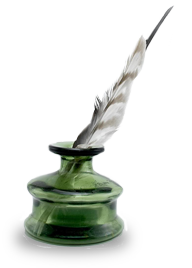 . . .A talented writer. He was most truly a perfect man of business; he would often take the pen and commit to paper all the necessary writings of the senate, and this he would do cheerfully while the other members were amusing themselves with desultory conversation; he appeared to be naturally of an irritable temper, still he was mild and courteous in his general deportment, fond of society and conversation, and universally a favourite from his great good humour and intelligence; he thought and wrote much as a professional man, and as a statesman, on the business before him in those characters; he had no leisure for other subjects; not that he was unequal to the task, for there were few men who could commit their thought to paper with more facility or greater strength of argument. There was a severe trial of skill between the senate and the House of Delegates, on the subject of confiscating British property. The senate for several sessions unanimously rejected bills passed by the house of delegates for that purpose: many, very long and tart, were the messages from one to the other body, on this subject; the whole of which, were on the part of the senate, the work of Mr. Stone, and his close friend and equal in all respects, the venerable Charles Carroll of Carrollton. “Habre de Venture”, the home of Thomas Stone, is known as the Thomas Stone National Historic Site. It is located about 30 miles south of Washington, DC, and about 4 miles west of La Plata on 6655 Rose Hill Road, between MD routes 6 and 225 near Port Tobacco, Maryland. After passing through five generations of Stone family descendants, the estate was sold in 1936. The home remained in private hands until 1977 when a fire swept through the main block of the house. The property was declared a national historic site in 1978, and was purchased by the National Park Service in 1981. After restoration, the home was opened to the public in 1997. Two of Thomas Stone’s brothers played an important role in his life and the founding of the Republic. Thomas Stone left his estate to his younger brother, Michael Jennifer Stone, who lived at the estate, and managed it when Thomas was absent. Michael served in the Maryland House of Delegates from 1781 to 1783, and was a delegate to the Maryland ratifying convention for the new US Constitution in 1789. 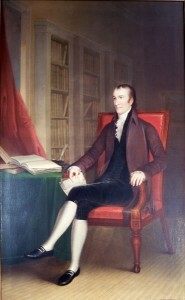 He served in the first Congress, from 1789 to 1791. Another of Thomas Stone’s brothers, John Hoskins Stone, served in the military in the Revolutionary War, and later enjoyed a prominent political career. He joined Colonel Smallwood’s battalion in the Continental Army in 1775 and rose through the ranks to become Colonel and commander of the 1st Maryland Regiment. He fought at the battles of Brooklyn, White Plains and Princeton in 1776, and in the battles of Brandywine and Germantown in 1777. John was wounded at Germantown and as a result was lame for the rest of his life. He was back in active command at the battle of Monmouth, but his military career ended in 1779 when he was wounded again more seriously during the storming of Stony Point on the Hudson River. He resigned his commission soon after the battle. Returning to Maryland, he served on the state’s Executive Council from 1779 to 1785, and again for several years until 1792. John was elected Governor of Maryland for a three year term and served from 1794 to 1797. Near the Washington Monument in Washington, D.C., in a special memorial park celebrating each of the 56 signers of the Declaration, one of the 56 granite boulders is engraved with the name of Thomas Stone. Nearby, in the Rotunda at the National Archives Building, is a large mural painting by Barrry Faulkner showing a number of the signers of the Declaration, including Thomas Stone, who is shown standing in the second row. This entry was posted in Maryland, Signers by state. Bookmark the permalink. Loved reading about my uncle Thomas. My son seems to have a similar personality. Thank you for the nice bio.